If you have a project this is where you NEED to start! 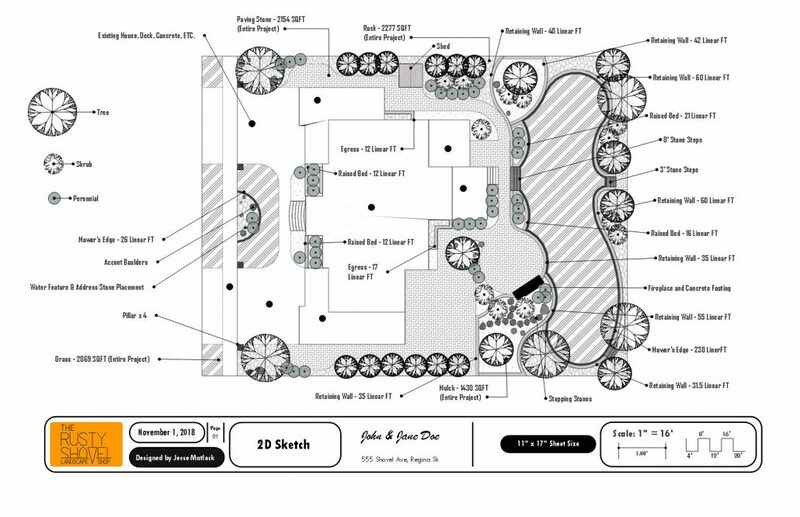 We will come out to your yard and get all of the measurements and site photos before your meeting. From here, every design starts with a 1 hour in shop consultation. 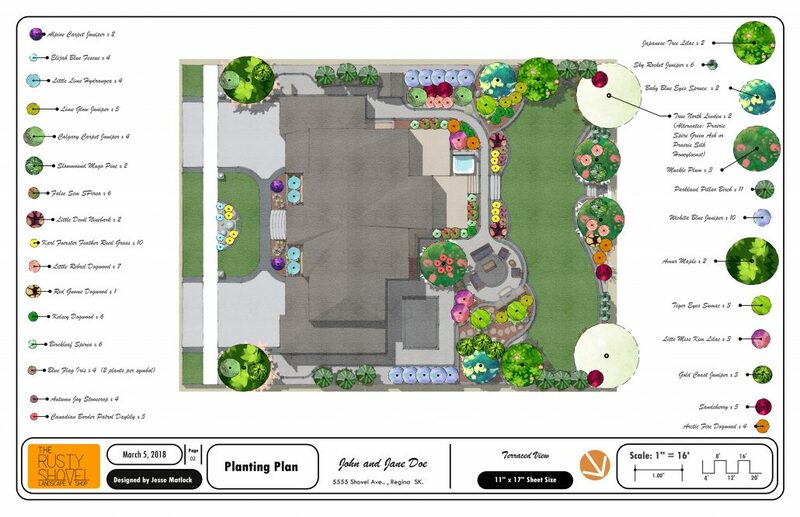 At your consultation you can decide to stick with the 2D Landscape Design package that costs $399.99 (to be paid up front) or opt to go with our 3D Design Package which costs $749.99 ($350 extra payable up front or after your initial meeting). Out of town customer? No problem, we can come to you for additional costs (mileage @ $0.50/km for consults outside of Regina) or save the costs and ask us about supplying your own measurements and site photos for your meeting. 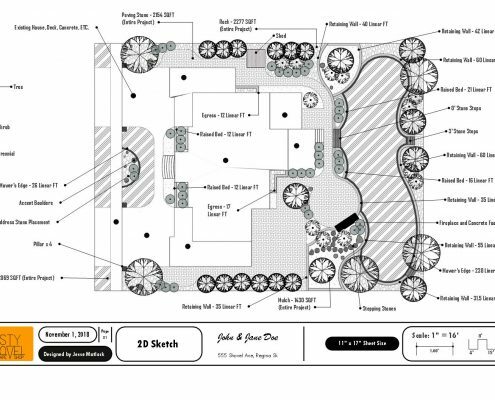 After your consultation we will draft your 2D or 3D plan within 10 days and book you in for your design review meeting at the shop. 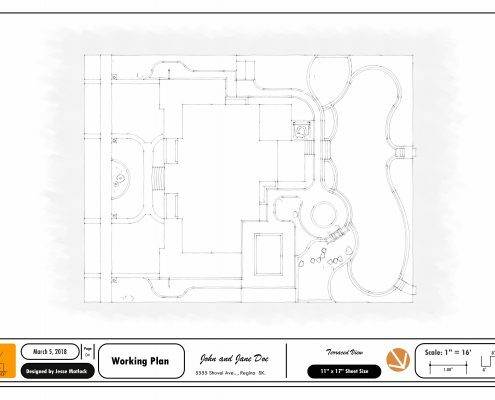 Our base package starts with a computerized, black & white 2D plan. 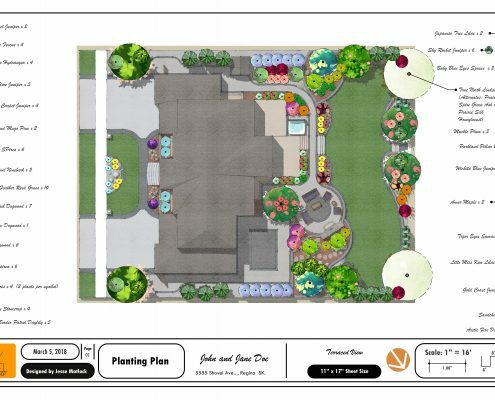 This plan provides general material selections & quantities, and general planting suggestions (tree, shrub, perennial) & placements. 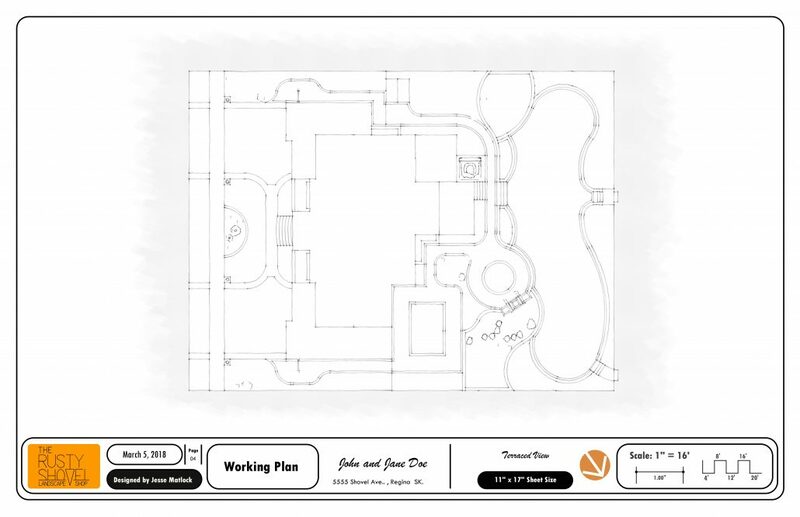 You will get a 1 hour in shop consultation with the designer, digital and hard copy of the plan, plan review video from the designer, and a design review meeting with one of our Project Experts to go over your plan and how we can get it implemented. 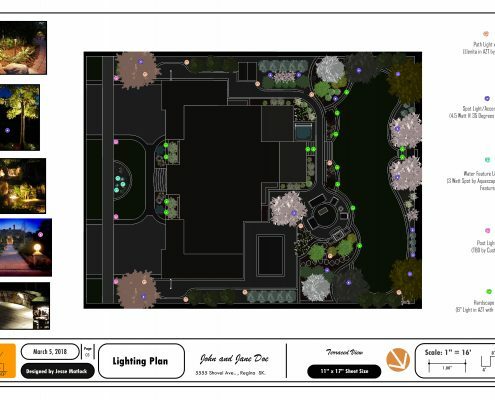 This is the best way to design, giving you or your contractor all of the 2D plans needed for construction including a materials plan with specific material suggestions & quantities, planting plan with specific plant names & placements, lighting plan with specific fixture recommendations & placements, and a black and white working copy for all of your construction notations. 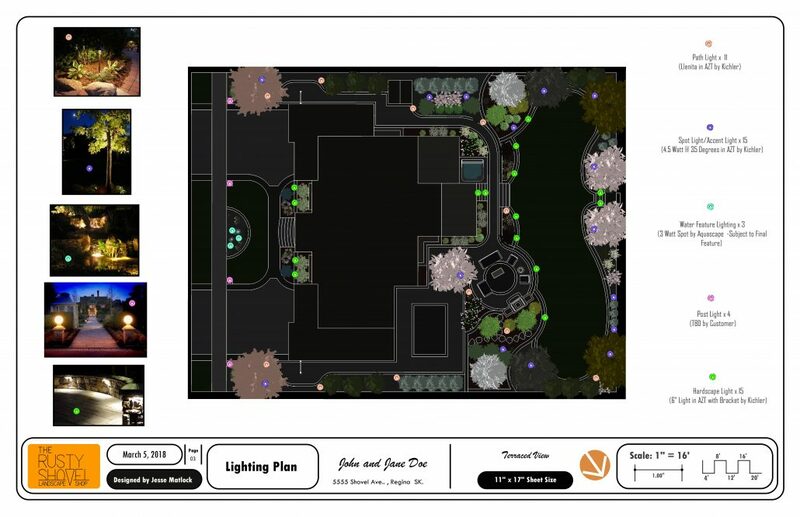 You will also receive a Virtual Reality walkthrough of your landscape and all of the accompanying 3D images so you know exactly how the job will turn out. On top of this you get a 1 hour in shop consult with the designer, a 1 hour in shop proofing meeting to go over any changes you would like to see with the designer, and a final hand off meeting. 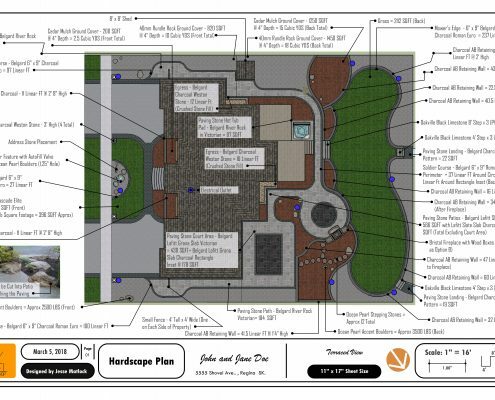 The final hand-off meeting includes your digital and hard copies of the design materials, a design review video from your designer, and a meeting with one of our Project Experts. 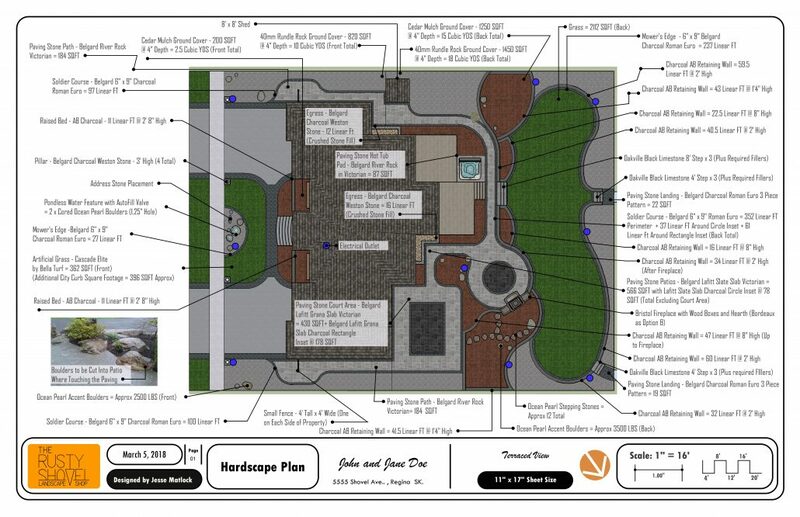 Our Project Experts will go over all of the details and help you get your plan implemented. For best results launch the explore button in Google Chrome. The file will take a minute to launch. If the model is slow, try reducing your window down from full screen view to a smaller window. Just fill out the form and click submit to get your design package booking underway.